Nigeria, in the event of the global down turn of world economy, should be thinking now on how to develop critical sectors of her economy other than oil and gas in order to avoid the adverse effect this will have in the overall governance of the country. One of such critical sectors is the aviation industry. Unfortunately, this is one sector the government has neglected over the years without according it adequate attention it deserves, despite the huge potentials that abound in the industry. Up to this day, the country has no national carrier, a situation that has deprived it of having a viable commercial hub that would have boosted the Nigerian aviation sector. This is even happening at a time the African continent is pushing for a renewed initiative according to the Yamoussoukro declaration to have a single sky and a cogent aviation or aeronautical policy whereby African countries and their air carriers can cooperate to develop the continent’s aviation sector and create free markets for the carriers. How can African market be secured from exploitation by foreign air carriers given the Ethiopian Airlines efforts in this direction? We in Ethiopian Airlines would like to see the Nigerian aviation develop much faster than it has been so far. 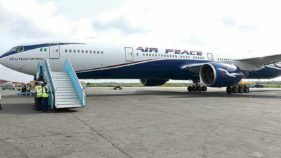 We also like to see a very strong national carrier in Nigeria. Nigeria Airways used to be one of the best airlines in the past. We are ready to help and to partner with the Nigerian authorities in this regard. Ethiopian Airlines has one of the most route coverage in Nigeria. We go to Lagos, Abuja, Enugu and Kano. We are the only international carrier in Enugu for now. May be others will join us later. We have been serving the Nigerian people for half a century now. It has been a very good partnership with Nigeria and Nigerians. We hope that the Nigerian aviation policy would be revised to support this kind of African partnership between African brothers and sisters. Unfortunately, African continent has not encouraged this kind of partnership in aviation sector as much as it should. Now there is a renewed initiative in the Yamoussoukro declaration. 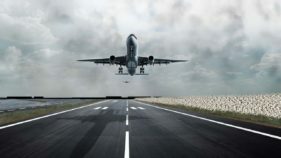 We do hope that the African Heads of States who are going to meet in Addis Ababa in the next three weeks to declare that Africa should see a single sky, a single aviation policy, a single aeronautical policy whereby African carriers can cooperate, African countries can cooperate to develop their aviation sector with free markets to African carriers. Basically what we are looking for from the African heads of states’ meeting in Addis Ababa is full implementation of the Yamoussoukro declaration, which means that the African airspace will be treated as a single airspace for any African carrier so that it can fly from one point to another without any restriction within the continent. The second one which we are pushing as African Airlines Association (AFRAA) and African Civil Aviation Commission (AFCAC) which is headed by a Nigerian lady, is to formulate an aviation policy for a single market for Africa which will have the same community clause the Europeans have today. By this what we mean is that European member states treat the European airspace as a single market. They have full freedom of the air for their airlines whithin the European Union. But when it comes to air services agreement negotiations between member states of the European Union and another country outside the European Union, the Union will act as a single market. For instance, if any European country’s airline wants to fly to Africa, there will be a clause in the air services agreement mandating the European airline to fly to that African country through any other European country. For instance British Airways can fly to Addis Ababa, Ethiopia through Paris, France. They call it European Union Community Clause (EUCC) or Horizontal Clause (HC). Unfortunately, Ethiopian Airlines, Kenyan Airways or Arik Air will not be able to fly to an European country through another African country which does not have an airline. For instance, if Ethiopian Airlines wants to fly to Paris through Chad, in the existing arrangement, it cannot do so. This bloc to bloc negotiation should be there to make the competitive land scale level field for everybody. Again, because of lack of this tool, the policy instrument, what we see today is unfair competition in the continent. The result of this is that 80 per cent of intercontinental traffic between Africa and the rest of the world is carried by non African carriers. Only 20 per cent is carried by African carriers. This has to be corrected. I hope Nigeria will lead the change because Nigeria is a big aviation market, a big country and the largest economy in Africa. So Nigeria has a lot of ways to drive this initiative. Ethiopian Airlines is a big player in the Nigerian aviation market. We want to do more, we want to cooperate. I have read some news from Nigeria which posit that Ethiopian Airlines and other international carriers flying to more points in the country may affect the domestic airlines in Nigeria. But I disagree with that position within the Yamoussoukro declaration. The declaration says we should cooperate more and fly to more points within the continent to facilitate the intercontinental cooperation and eliminate inter-travel hardships that air travelers experience today in Africa. If you want to travel today from Nigeria to neighbouring Cameroun in the east, or Ghana, Cote d’ Ivoire in the west, you do not have so many choices in terms of availability of air routes. It is an under-served market. The entire continent is an under-served market for travelling within the continent. We should push for more air routes among African countries. Talking about the Nigerian market where your airline has made a formidable success, do you have any expansion plan for this market beyond carrying passengers to and from Nigeria? There are two ways to do that in terms of expansion. We are flying to four points now. We intend to increase the frequency to Enugu and Kano to daily as much as we are doing to Lagos and Abuja. We want to connect the northern part of Nigeria to Asia and the eastern part of Nigeria with Asia and the Middle East. We also want to enter PortHarcourt route. This is an immediate expansion plan. In this 21st Century we should not be seeing Africans travelling to Europe to visit their neighbours. If you want to travel to the Gambia today, you have very limited choices. You may not be able to fly on the date you want, and the time you want. Unfortunately, you may be forced to travel to Europe to connect to Gambia. This has to stop. Why should Africans fly to Europe to connect to Africa. Six hours to Europe and six hours to Africa. This is not acceptable. We should be able to connect the African continent by air as much as possible. Another issue is that most of Africa’s transport system is not developed, whether air, sea or rail transport. But air is the most practical and easy way of connecting passengers in the continent. If you want to connect two countries in Africa by rail, it is a huge and massive investment. But it is very easy to connect countries by air with very little investment as long the countries have airports. But we are not doing all this because we have closed the market. We do not understand the rationale for closing the aviation market and allowing the people suffer. It is for this reason our airline decided to connect all the regions: West Africa, East Africa, Southern Africa and North Africa. African countries should learn how to trust one another in terms of trade and investment. It is only 10 per cent of African trade that is within the continent. Ethiopia exports a lot of flour to Europe and many West African countries import flour from Europe. So this is ridiculous. The south-south trade relations has to go. Ethiopia exports a lot of meat to the Middle East and many West African countries like Garbon and Equotorial Guinea import meat from Europe. Angola imports meat from Brazil while a lot of East African countries export meat to Middle East. Back in the 60s, Ethiopian Airlines was the only airlines serving East/West. We have done it for the past 50 years now and should be able to do it better now in the 21st Century. What is the level of government interference in your airline and how does that impact posively or negatively on the performance of the airline? African countries can learn on the way Ethiopian Airlines is managed and the corporate governance of the airline. It has the presence of government on the airline but all the successive governments we have had in Ethiopia allowed the airline to be managed by professionals. This is the main success factor of the airline. The airline business is a very challenging business for two reasons. Number one, is that, it is very capital and labour intensive. By this you can know the difficulty an airline faces in terms of asset and labour management. The more capital intensive a business is, the more the capital requirement of that business will be high. Therefore, the asset utilisation of the business is very important. You buy an aircraft, you must keep it in the air for at least 13 to 14 hours a day. Anything less than that is not too good enough. Infact it is very difficult to make money through an airline. The second challenge in the airline business is that there is excessive competition. There are so many airlines with so much capacity and the capacity is growing irrespective of demand. Therefore, the profit margin is very very slim. This makes the cost of running an airline very high and one cannot make mistakes. If you do, it will be fatal. Airlines need to be managed professionally by aviation experts. This is the realisation of the Ethiopian Government and its discipline not to interfere with the running of the airline. When I mean they are not interfering, it suggests that the government leaves the daily management of the airline to professional managers like myself. The government hold us accountable for the efficient performance of the airline. There is a board of 11 people comprising high government officials and some high ranking management staff of the airline. This arrangement is for the good of the airline. In terms of guidance, leadership and strategic orientation, the board is there, and the professional managers take care of the management of the airline. It must interest you that every government official, every minister that enters the plane pays for his or her ticket. That is why we are succeeding. What is the expansive plan your airline has for 2015 in Nigeria and elsewhere in the world? 2015 is part of our vision 2025. We are going to receive 10 aircraft in the year 2015. These planes when they arrive will fly nonstop to many routes. 2015 will see more and more nonstop flights to the continent. More flights will go to Asia. Philipines and Japan will join our network. We will increase our frequency to South Korea and Thailand. Later in the year, we will resume service to Singapore. In Europe, it will be more of consolidating what we have. But we will add one more point to Europe which is Dublin in Ireland. In the United States of America, we are planning Los Angeles. In Africa we are adding Cape Town, Garbon and Botswana including some destinations in Indian Islands. In terms of fleet, we will have more 787, 777/300, the largest airplane that can take 400 passengers, and more 737 planes. In terms of facility, infrastructure, we will add one more flight simulator, 787, for pilot training. We already have the 737, 767 and Q400 simulators. We are also planning to bring in 777 simulator, then we will be self sufficient in simulators. The cargo terminal is being expanded on the eastern side of the existing one. The current one has the capacity of 200,000 metric tonnes a year. The one we are building now is going to take 600,000 tonnes a year. It will be completed in the next two years. The Aviation Academy is almost completed. It is also another huge expansion going on there. When completed the academy will take about 4,000 students a year. These will include pilots, engineering students, technicians, inflight service crew, marketing students, ground services personnel and leadership trainees. On the issue of hangers, we already have three hangers. The fourth one is now completed. The fifth one will take us about two years to complete it. On the passenger side, we do not own the terminal. We have a sister company called Ethiopian Airports Enterprises (EAE) working very hard for the growth of infrastructure for our vision 2025. They have the terminal expansion project which will enable them to upgrade the capacity of the airport from about seven million passenger capacity a year to 22 million capacity by 2025. This project is planned to be completed in the next three years. After 2025, there is also a plan to move the airport to a low land, about 70 killometres from Addis Ababa. These are the main expansion programmes that we have. How is your airline able to churn out profits every year despite the competitive nature of the airline business? We tend to do the right things at the right time. Success is as a result of hard work. The right circumstance is a matter of coincidence. When an opportunity exists in a standard world, it is up to the player to do the right thing to take advantage of that opportunity. We are at the right location, at the junction of Europe, Middle East and Asia. We determined that the trade and investment between Africa and Asia is growing although Europe is still the largest trading partner with Africa. But in terms of growth, Asia is moving very fast. 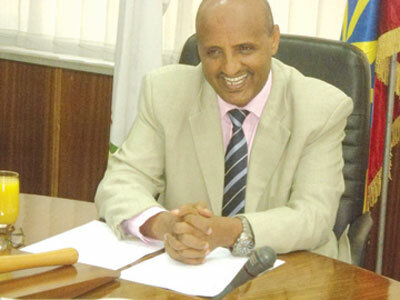 Ethiopian Airlines recognised that and prepared itself to take advantage of that. Today we are the largest carrier between the continent of Africa and China with 28 flights a week. The most important success factor is internally. The system has been built throughout the year in terms of employee skill development, right motivation, right talent. 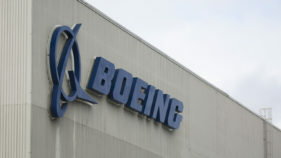 The airline invests a lot in its employees. Our fore fathers were visionary to make sure that the airline depends on its own means. The biggest asset of the airline is human resource. Employees work very hard, they are committed and dedicated. They go to any length to make sure the airline is profitable. The airline’s corporate governance is also very important. There is clear accountability. Every one is accountable. The management of the airline is cost effective. There is no luxury in the running of the airline. We are very modest in whatever we do. We also have very strong cost saving programme. The other factor is the long range planning. It is very high capital intensive business. So fleet decisions are very important. If you do your fleet decisions in good time and the right way, half of the job is done. Mission dictates the type of fleet we buy. We always have a road map to know our destination and our direction. Indeed, success is 60 per cent hard work and 40 per cent luck.